Lightspeed Retail is an advanced EPOS system for businesses with lots of products. 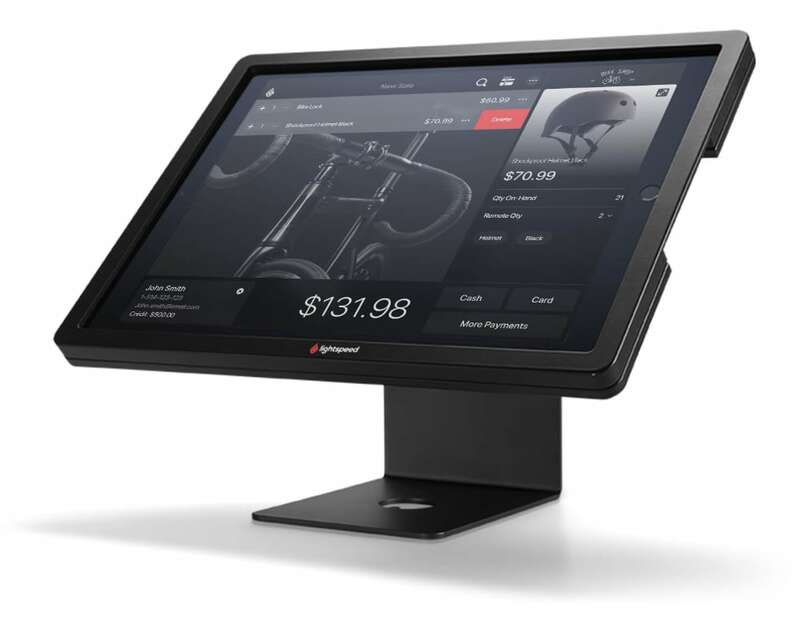 Lightspeed Retail EPOS is an advanced POS system for iPad and desktop. 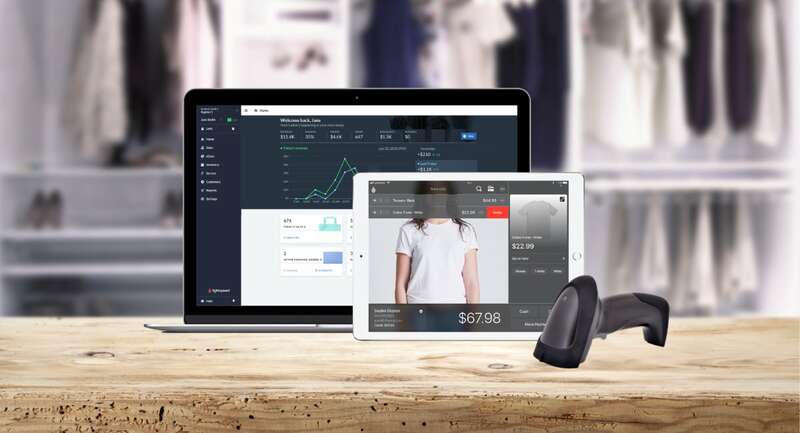 The many inventory features make it a strong choice for serious SME retail shops, with room to grow online via Lightspeed’s integrated ecommerce. Highs: Complex inventory features. 24/7 customer support. Lots of add-ons. Lows: Not that intuitive to use. Costs on the high side. No Android compatibility. Best for: Retail shops with lots of products and customisation needs. Lightspeed Retail POS costs a monthly fee that depends on number of registers, number of stores, choice of additional features and how many months the contract is for. On an annual plan, they charge a minimum of £69 a month for one register at one location. For an exact quote based on your store requirements and contract preferences, you will need to contact Lightspeed. 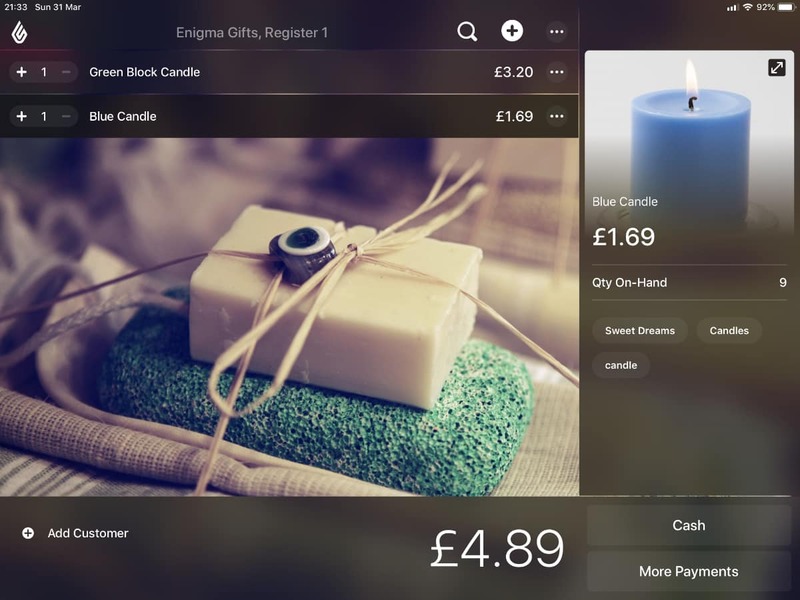 Although Lightspeed’s retail EPOS contains the same features for all subscribers, the company does not list their standard subscription prices publicly, except for the £69 example. Their goal is to get prospects to speak with them on the phone so they can get to know your needs and explain all the options available to you, possibly recommend add-on features with additional costs. For this reason, we recommend doing just that: ask them questions and make use of their 14-day free trial so you can test the POS software before committing to a contract. 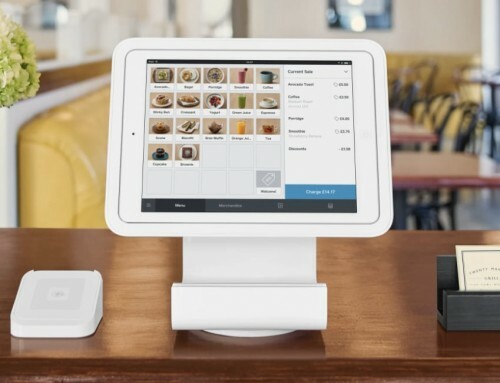 In the UK, Lightspeed only integrates with iZettle Reader and Barclaycard terminals. iZettle and Barclaycard have separate fees for card transactions, processed through them entirely. Lightspeed takes pride in their integrated EPOS-ecommerce solution, starting at £39 a month on an annual plan. Exact quotes are obtained by talking to their sales team, and you can expect the nicer website themes, features and even integration tools to cost extra. 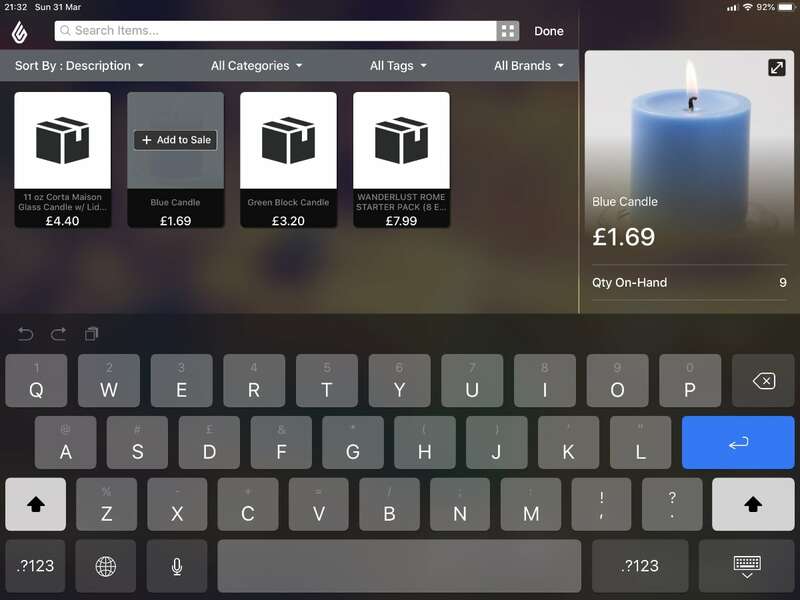 The Lightspeed Retail POS features can be used either in an iPad app or on Mac or PC. The inventory and vendor management tools are some of the most comprehensive available, but there are also shortcomings. While Lightspeed’s one-hour onboarding session is useful, the software itself is not always intuitive enough to grasp on your own. While Lightspeed’s one-hour onboarding session is useful, the software itself is not always intuitive enough to grasp on your own. During our tests, we had to look up instructions of how to get started setting up the product, and other features pertaining orders or inventory needed some getting used to as well. Certain settings were a bit slow to update too, e.g. there was a delay of a few days between changing the checkout background and it actually updating in the app. For this reason, it is good to test the software thoroughly before the onboarding session, so you’re prepared with questions that may not have an answer in the online help section. Hardware management in the app is easy – the side menu shows a button for the barcode scanner, card machine and receipt printer. If the equipment stops working, you can quickly tap to reset the connection this way. 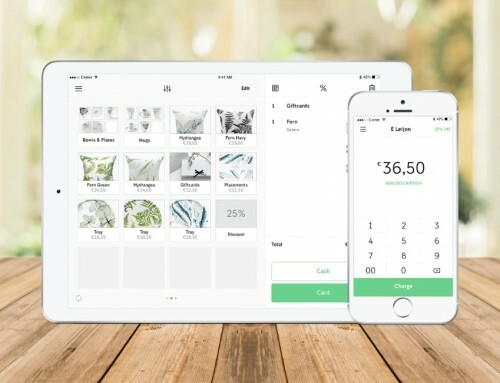 Compared to the other major POS apps with a grid view of products to tap to add to a bill, the default till screen in the Lightspeed app shows no products at first, just a background image and some buttons at the top, bottom and sides. You have to tap the top search icon to find products to add, and then a product grid or list appears with options to sort by category, tag, brand or description. You have to tap the target item twice to add to the bill, which could be tedious for some businesses who need to add loads to one transaction. Alternatively, you can use an integrated barcode scanner to scan straight away without using the search. 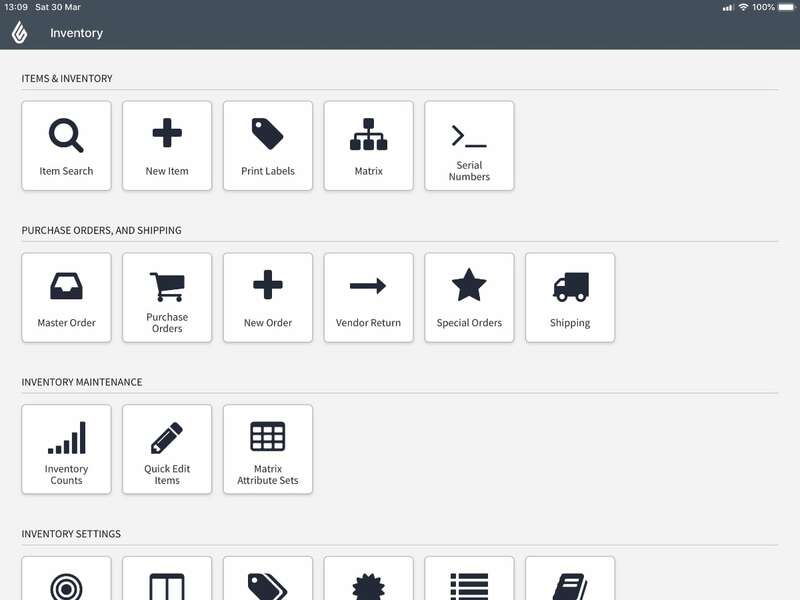 The more you sell, the less likely a visual product layout will be useful, but small businesses with limited stock or few items that sell all the time (bestsellers) might prefer a product grid interface. Checkout payment options include cash, card, cheques, credit account and gift cards (that need to be registered in the system first). Card payments have two buttons: credit and debit cards. This means you will need to check whether the payment card is credit or debit before accepting it to ensure you tap the correct option. If accepting cash, you enter how much change you receive and it calculates what to give back. At the start of each day, you mark the exact float amount divided into coins and notes so that at close, the end-of-day float can be counted against the start float. Refunds can be provided from the EPOS app where you can search receipts and refund individual items or whole transactions. This may take a little practice, as it is not an entirely intuitive process. Create quotes from the admin account, where instead of registering a payment, you save the transaction in the system as a quote that you can email or print for the customer. If the customer later wants to go for the sale, you can find the saved quote and proceed with the payment. Receipts can be customised with your company details. After each transaction, you can choose to email or print it from the screen to a connected receipt printer. Lightspeed Retail is made for businesses with a lot of stock and advanced inventory needs. The software will track your margin on individual products based on unit cost (what you pay for it) and sales price (what you sell it for). You can mark which products should have taxes added and which can have discounts applied. 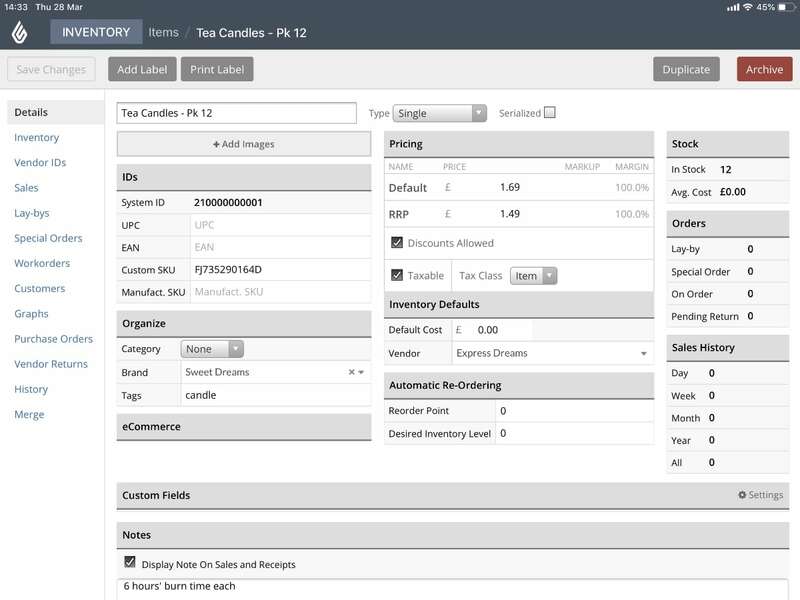 Stock management: New users can import thousands of products in the Lightspeed system via CSV files, add product profiles manually or search a comprehensive vendor catalogue to add items other Lightspeed users already have in the system. On top of the many preexisting settings for each item in the system (e.g. stock level, SKUs and other IDs, pricing details, tags), you can see order statuses, incoming stock and add custom fields of data you want attached to products. Set your desired inventory level to get alerts for when to reorder stock. A noteworthy shortcoming is the inability to have negative stock levels. Lightspeed is, however, working (currently in beta) on adding this feature, which you may need special activation for. 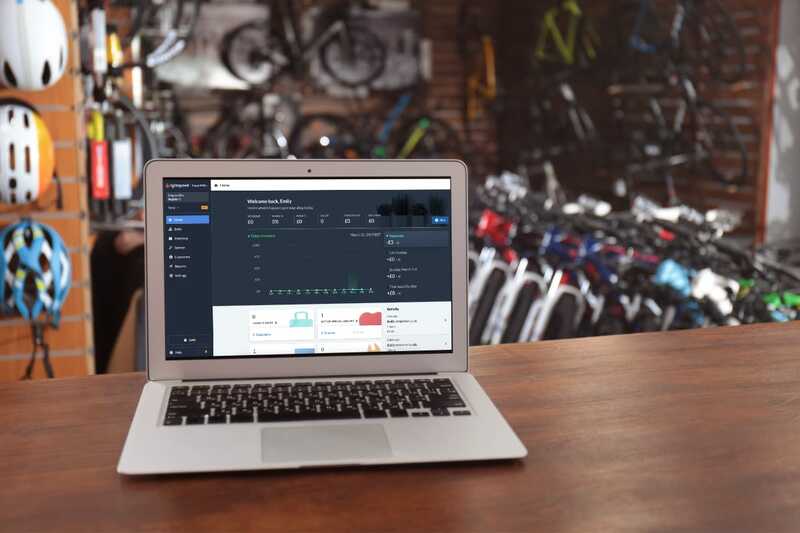 Vendor management: Lightspeed’s vendor tools are pretty impressive – a bonus for retailers who love to explore new vendors and products for their own store. First, you pick what area your products can be classed as, and then you have access to product catalogues of suitable vendors. If your own suppliers are not listed, you can notify Lightspeed and they will add it. Add products to your local system straight from the vendor catalogues, complete with SKUs and other product details. Order management: The system is great for orders, whether it is a customer or purchase order. Create a special order (for customer) for a product you have in another location or one that needs to be ordered from the supplier, then create the purchase order from the relevant vendor or place the transfer. The customer does not have to pay straight away – you can save it as a quote to pay for later. Every order has a status – e.g. not ordered, ready for pickup, complete – which you set manually. When you receive and check your delivery, you confirm in the system whether everything is correct. The core EPOS has the ability to create discounts, promotions and customer profiles. With a customer profile, you can keep track of customer orders, record contact details and address, analyse sales and add other information about the person. In order to analyse the sales of each customer, you need to add the person to their transactions at the checkout, otherwise the transaction is anonymous. Apply discounts (fixed or percentage) to sales or customers, or apply rule-based promotions for set periods or based on a factor like location. If you like, you can require customers to have a profile in the system in order for the discount to be applied, or create an employee discount for staff only. Coupons and donations can be created too. Overall, the complexity of the stock settings may require a workaround to apply certain bulk discounts or coupons. Gift cards are available as an optional module requiring activation, and then it takes some learning to know how to add them in the system. Specifically, you have to order physical gift cards in order to start offering them, so it wasn’t possible to test them on the free trial. Lightspeed Loyalty is a separate add-on costing extra. With this, you can expect customer relationship management tools. Whether you’re using Lightspeed Retail on desktop or iPad, it is fastest to process sales with a barcode scanner. By default, Lightspeed Retail is for one shop and one register. Using the POS software at more than one location requires a pricier subscription. Once a multi-store account is set up, you can create profiles of each location, complete with differentiated stock, receipts and pricing. You can then perform stock transfers between shops, search inventory across locations and manage stock purchasing for all your stores. Have a whole team of staff to manage? No problem. Each employee can have their own account with individual permissions and a PIN for logging into the POS system. You can log their clock-in and clock-out times and view their sales as well. Apart from the four default account types (Admin, Associate, Manager, Owner), you can create custom roles with a wide range of permissions to switch on/off or just individualise permissions per user. The cheapest EPOS plan allows up to five employee users. If you have more than that, you have to pay more. The EPOS system does not function without a working internet connection. Being a fully cloud-based system, it means you cannot process sales if the internet goes down on your local network. This could pose problems for shops with poor connectivity. Curiously, Lightspeed offers a Lite Server in the Restaurant POS bundles, but not for the Retail POS bundles. Lightspeed looks at each business’ individual circumstances, so it’s worth asking for details of whether there is any way you can use it offline on your premises. On the plus side, all transactions, orders and changes in the system are stored and processed in real time through the internet. This means inventory is correctly synced across locations, and the relevant users can check sales and movements from anywhere on desktop or in the iPad app or Lightspeed Dashboard app for iPhone. 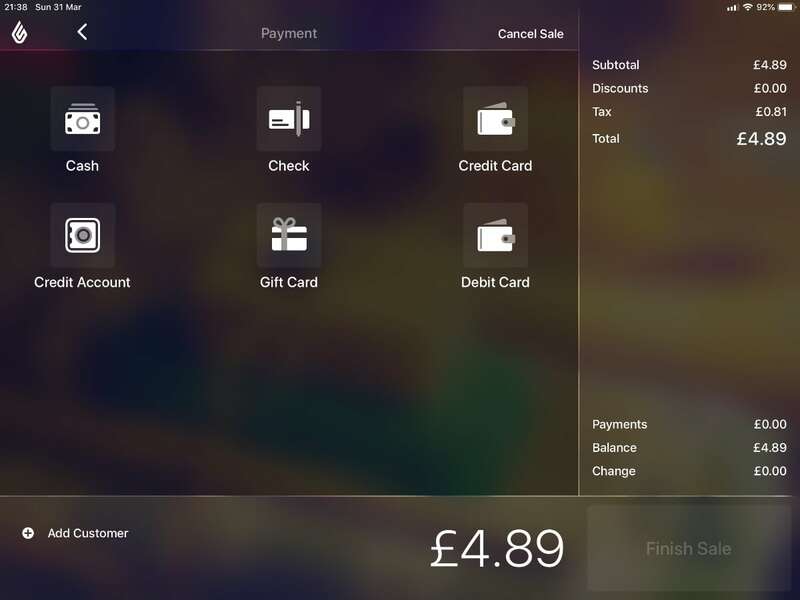 The frontend EPOS system can be used on a desktop computer (PC or Mac) or iPad via the Lightspeed Retail POS app. There is no Android tablet app for this. It is possible to set up a customer-facing screen as well, which may cost extra. In the UK, Lightspeed only integrates with Barclaycard terminals (currently in beta) and iZettle Reader. First, you’ll need to set up an account and order a card terminal from the chosen provider. You can then connect the card reader easily via Bluetooth from the POS app. The terminal and transaction fees are paid directly to the terminal provider, i.e. Lightspeed does not handle or charge for the card processing themselves. It is also possible to use a non-integrated card machine that is not connected to the Lightspeed software. 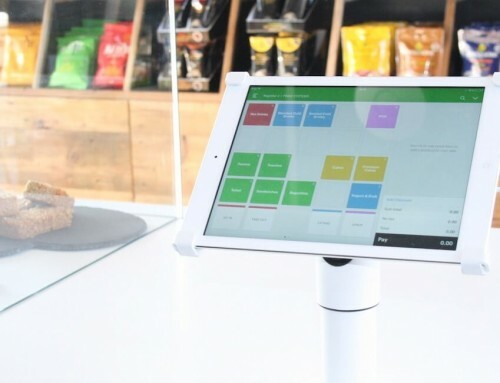 With a standalone terminal, you manually enter transaction totals on the card machine, then confirm in the POS app when the payment has gone through on the terminal. 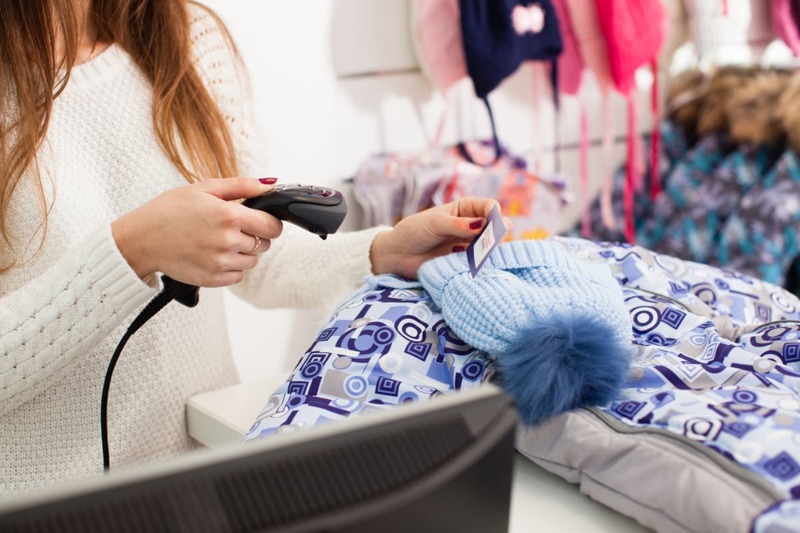 To complete your shop point of sale, compatible receipt printers, label printers, cash drawers and barcode scanners can be integrated with the software. Lightspeed offers hardware bundles, but is compatible with certain other equipment. The standard EPOS plan includes basic reporting and sales history, including cashing-up reports. Although classed as “basic”, we saw that they can be filtered into many different areas, such as margins, closing counts, total hours clocked by employee, tax audit trail and inventory history. The reports are divided into Point of Sale Reports and Inventory Reports, all of which can be exported as a CSV file or printed off within the individual filters (you cannot see all analyses on one page). The Dashboard in the admin account shows a neat overview of the day’s revenue which you can set the time frame for, “tasks” which you customise, active orders and point of sale activity. Lightspeed integrates the software to your chosen accounting program. The integration may cost extra, as will the subscription for the accounting software. Lightspeed works well in shops where products need a nuanced inventory system, such as a bike store. Lightspeed’s free customer support is round the clock, seven days a week, via phone and email. The company likes to talk on the phone, especially at first during the sales stage, but you can insist on email if you prefer. You also get online support sections and video tutorials on how to use the software, and they recently added Lightspeed Community, a section where users can post questions and discussions for peer support. Each new user gets a one-hour free onboarding session with a Lightspeed advisor, which is great for getting all your questions answered – that is, if you can cram all questions into that hour. If you can’t, there’s always the phone support, which is generally friendly but does not always resolve complex issues related to shortcomings in the software. Lightspeed regularly updates their software and develops new features in response to customer feedback. We consider this a good sign that they’re taking the service seriously and are willing to adapt. The online support section has a lot of detailed instructions on using the system, but it is unhelpful when it talks about things that only apply to the American market. Fewer features are available in the UK, but the English support section was originally created for Canada and the US, so you have to decipher what’s relevant to the UK. Who is Lightspeed Retail best for? Lightspeed Retail is best for medium – maybe small – retailers with lots of products such as clothes, bike, pet supplies, jewellery, electronics and sports gear. The system is fastest with a barcode scanner, as otherwise you have to search for each product, so investing in stationary equipment beyond an iPad or desktop computer is essential in busy stores. If suppliers is a pain in your business, this EPOS is a great choice. You have all your vendors saved with their products, orders related to them, and you can even explore new vendors from the EPOS app. The system is not so great if you’re out for the cheapest solution. The listed subscription price is for basic reporting, limited staff and one shop and register, so costs can easily rack up if you’re managing more than one shop or start selling online. Lightspeed has a lot of add-on integrations and ecommerce modules paid for separately. When it comes to inventory-related features, Lightspeed Retail is quite advanced even on the basic subscription plan. But there are quite a few additional features offered on the pricier plans, for instance more advanced analytics, so you don’t see the full potential of the system unless you upgrade. That being said, small shops with few staff members will find the basic subscription more than enough for in-store operations.